FLW College Fishing is headed to the Potomac River October 11-12 for the Northern Conference Invitational tournament. 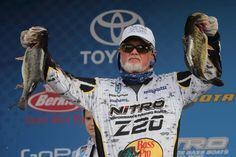 Forty-five college teams have qualified for this event and will be competing for a top award of $4,000 and a berth in the 2015 College Fishing National Championship. 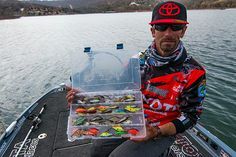 “The whole river comes into play this year, so you can’t really narrow it down too much,” said Kellogg’s Frosted Flakes pro Dave Lefebre, who finished in fourth place when the Rayovac FLW Series visited the Potomac River in June. 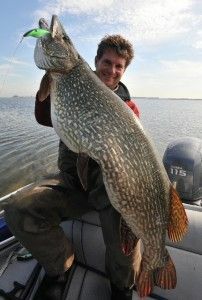 “During the summertime the river has a lot of hydrilla in it, but that will be starting to break up a little bit now. 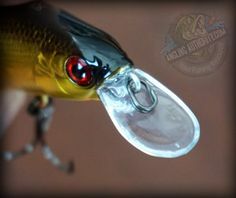 With the grass thinning out, you can definitely catch them cranking with a shallow crankbait. The water is still warm enough for a frog bite and buzzbait bite. 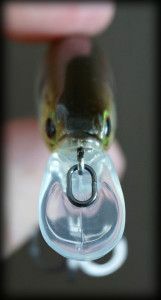 And of course spinnerbaits and swimjigs will work. The Potomac is always a good place to power-fish, and the fall just makes it better. 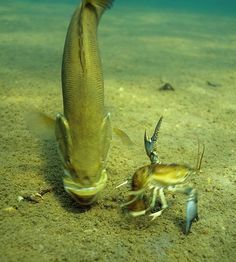 “The fish migrate into the creeks in the fall, like Mattawoman, Potomac, Aquia and even some of the smaller creeks,” Lefebre added. “That’s something unique to the fall, and it could play, but it depends on the weather. The grass is always good there, but in the fall the bass will be on hard cover too, like rocks, docks and wood. Lefebre predicted that about 36 pounds of bass would win this two-day event. Anglers will take off from Smallwood State Park located at 2750 Sweden Point Road in Marbury, Maryland, at 7 a.m. each day. Weigh-in will be held at the takeoff location starting at 3 p.m. on Saturday and at Walmart located at 40 Drury Drive in La Plata, Maryland, at 4 p.m. on Sunday. Takeoffs and weigh-ins are free and open to the public. Centenary College – Evan Miles, West Orange, N.J., and Lucas Bogosian, Harrington Park, N.J.
Central Michigan University – Blake Goodell, Traverse City, Mich., and Brian Bustamante, Dearborn, Mich.
Christopher Newport University – Cody Griffey, Carrollton, Va., and Peter Kenny, Ashburn, Va.
Christopher Newport University – Taylor Godsey, Chester, Va., and Robert Seise, Gainesville, Va.
Christopher Newport University – Travis Riley, Evington, Va., and Seth Winslow, Chesapeake, Va.
Fairmont State University – Aaron Davis, Pleasant Valley, W.Va., and Bryson Grimes, Kingwood, W.Va.
Liberty University – Skye Riggleman and Chris Parent, both of Lynchburg, Va.
Mansfield University – Colton Otto, Carlisle, Pa., and Bryan Rupp, Mansfield, Pa.
Mansfield University – Kyle McKee, Newville, Pa., and Garrett O’Brock, Enola, Pa.
Mansfield University – Alec Engleman, Milton, Pa., and Matt Novitski, Kingston, Pa.
Mansfield University – Ryan Fluharty, Perkiomenville, Pa., and Tyler Grabowski, Fairless Hills, Pa.
Michigan State University – Kenny Bennett, Sterling Heights, Mich., and Dylan Jones, Warren, Mich.
Michigan State University – Ross Parsons, Dewitt, Mich., and Seth Gibson, Union City, Mich.
Northern Michigan University – Justin Brown, Bear Lake, Mich., and Brody Layher, Grass Lake, Mich.
Northwood University – Zach Lowe, Troy, Mich., and Travis Riedel, Falmouth, Mich.
Pennsylvania State University – Kevin Barber, Lancaster, Pa., and Anthony Kashiwsky, Alquippa, Pa.
Pennsylvania State University – Steven Griffith, Imler, Pa., and Andy Severns, Finleyville, Pa.
Radford University – George Fleming, Lorton, Va., and Tanner Blanks, Radford, Va.
Radford University – Justin Witten, Radford, Va., and Will Bowling, Fincastle, Va.
Ramapo College – Mike Concato, Wayne, N.J., and Andrew Annuzzzi, Port Monmouth, N.J.
Ramapo College – Andrew and Joseph Zapf, both of Whippany, N.J.
Rochester Institute of Technology – Jason Karol and John Henderson Jr., both of Rochester, N.Y.
Rutgers University – Kyle Genova, Millstone Township, N.J., and Andrew Ridinger, Thorofare, N.J.
Shenandoah University – Thomas Arens and Billy Arens, both of Winchester, Va.
Shippensburg University – Hunter Chamberlin, Shippensburg, Pa., and Kevin Hollasch, Marriottsville, Md. Slippery Rock University – William Hines, Erie, Pa., and Kyle Brown, Wexford, Pa.
Slippery Rock University – Tyler Sheppard and Tyler Branca, both of Hermitage, Pa.
State University of New York-Buffalo – Ronald Penders, Rochester, N.Y., and Morgan Fernays, Buffalo, N.Y.
State University of New York-College of Environmental Science and Forestry – Mike Longacre, Perkasie, Pa., and Jacob Ball, Naples, N.Y.
State University of New York-Plattsburgh – Richard Lee, Port Kent, N.Y., and Brendan Bolis, Canton, N.Y.
Virginia Commonwealth University – Donnie Miller, Midlothian, Va., and Alex Miller, Mosely, Va.
Virginia Polytechnic Institute and State University – Cory Fox, Blacksburg, Va., and Dylan Cooper, Radford, Va.
Virginia Polytechnic Institute and State University – Gage Hagen, Centreville, Va., and Ethan Morrison, Gordonsville, Va.
Virginia Polytechnic Institute and State University – Tyler Maschal, Lynchburg, Va., and Tyler Neff, Fredericksburg, Va.
West Virginia University – Edward Rude III, Falling Waters, W.Va., and Mathew Gibson, Morgantown, W.Va.
Western Michigan University – Shandon Miller, Frankenmuth, Mich., and Erik Rogoszewski, Dewitt, Mich.
Xavier University – Alex Vaisvil, St. Charles, Ill., and Andrew Decilles, Batesville, Ind. FLW College Fishing teams compete in three qualifying events in one of five conferences – Central, Northern, Southern, Southeastern and Western. The top 15 teams from each regular-season tournament will qualify for one of five conference invitational tournaments. The top 10 teams from each conference invitational tournament will advance to the 2015 FLW College Fishing National Championship. College Fishing is free to enter. All participants must be registered, full-time undergraduate students at a four-year college or university and members of a fishing club recognized by their college or university.